Local award-winning journalist and author Mignette Patrick Dorsey is no stranger to winning writing awards. 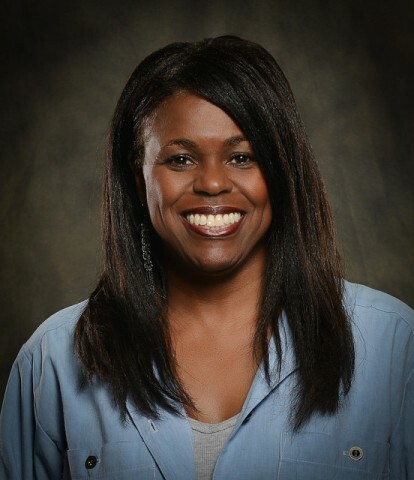 Her book, Speak Truth to Power, the Story of Charles Patrick, a Civil Rights Pioneer (University of Alabama Press), won the inaugural Calvin Smith Book Award and Lone Star College’s Published Writing award in 2012 and 2011 respectively. Now in 2019, her screenplay “Speak Truth to Power,” adapted from the book, has been nominated for a Remi Award by WorldFest-Houston, an international film festival. Dorsey’s was among 4,500 category entries, with only 10 to 15 percent receiving Remi nominations, proving that no matter the genre, it is the uniqueness of the story itself that stands out in writing competitions. Nominated in the “Screenplay – Biographical Category,” Dorsey will not discover exactly which of the four Remi Award levels her work has won until April 13 at the 52nd Annual WorldFest-Houston Remi Awards Gala Dinner, Westin Hotel, Memorial City. In snagging a Remi award nomination, Dorsey joins the ranks of notable WorldFest-Houston Remi Award winners Steven Spielberg, Francis Ford Coppola, George Lucas, Ang Lee, the Coen Brothers, and more. Dorsey believes Houston is a city with immense creative talent. “What WorldFest-Houston is doing is putting Houston on the movie production map, and that is much appreciated by people like me waiting for a chance to showcase screenwriting flair,” she said. Dorsey, who teaches writing composition and literature at Lone Star College, wrote the book to add to the historical account about a notable deed historians had attributed to her father, Charles Patrick. Using her investigative journalism skills, she uncovered additional facts that confirmed her suspicions that her father had unwittingly kick-started the national movement for civil rights as early as 1954, before Rosa Parks’ brave stand on a Montgomery bus. As a World War II and Korean War veteran, Patrick was no stranger to adversity and the threat of death. So, in 1954 when two Birmingham, Alabama police officers savagely beat him in the Birmingham Jail, he not only publicly accused them in court, but continued to pursue them using the legal system. Though he was acquitted of the false charges of vagrancy, he refused to be content until the guilty officers were eventually fired from the police force. In so doing, he rallied the support of top brass in the Birmingham police department, political establishment, white-owned press, and the general population. News spread nationwide. White and black citizens joined the white-owned press in 1954 and 1955 demanding justice for Patrick. The pulling together of a segregated citizenry on behalf of a black man was a first for that time. Black citizens were emboldened and used the case to demand the integration of the Birmingham police force. The entire 1954 ordeal and its positive outcome still stands as a shining beacon for how an entire community can pull together to quench the fires of police corruption without resorting to civil unrest. In that sense, the story begs revisiting in the 21st century. Dorsey hopes to eventually snag the attention of a producer with as much passion for the story as she and avid readers of her book have. “I have to keep believing they are out there,” she laughed. 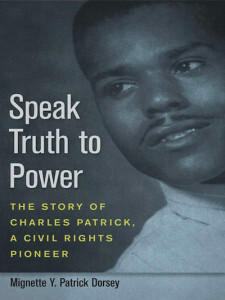 For more information about the book and to view a brief video featuring Charles Patrick, visit www.speaktruth2power.com. For more information about the 52nd Annual Worldfest-Houston festival week activities April 5-14, 2019, visit https://worldfest.org. Charles Patrick died in Houston, Texas on Oct. 22, 2014 at the age of 96. In honor of his contributions to the civil liberties of all United States citizens, Congresswoman Sheila Jackson Lee presented a resolution for placement in the U.S. Congressional Record at his funeral. She also presented his widow, Rutha Patrick, with a Capitol flag. For his brave stand against a corrupt system of jurisprudence in Birmingham, Alabama, 1954, Patrick received the Open-Door Award from the April 4th Foundation in 2011. The award was established to mark the assassination of Dr. Martin Luther King, Jr. and is awarded to individuals who have made unprecedented contributions in the furtherance of civil rights. This entry was posted in Reviews, World News and tagged a Civil Rights Pioneer, Mignette Patrick Dorsey, Remi Award, Speak Truth to Power, the Story of Charles Patrick, WorldFest-Houston by Kris Patrick. Bookmark the permalink.